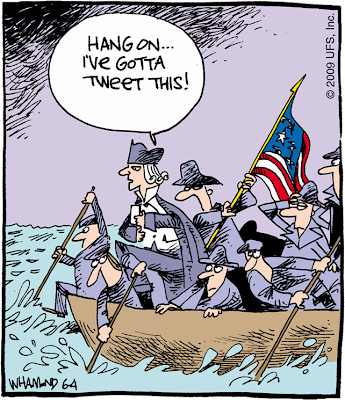 If you are a classroom teacher who teaches American History and have a Twitter account please send me a tweet - my Twitter name is @elanghorst - and I will add you to the list. More on this project later but I wanted to start to get the word out to get the ball rolling. Thanks. Hello. The holiday break is right around the corner - a time to spend some time with family and recharge the batteries. 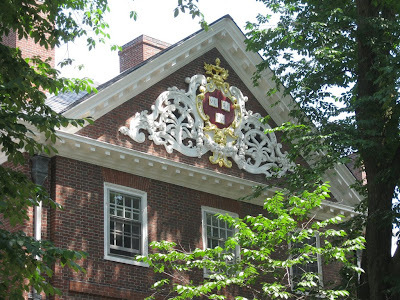 I would also encourage you to think about applying for a great summer history workshop through either Gilder Lehrman or the National Endowment for the Humanities. Both offer amazing workshops that allow you to experience a historical setting, learn from amazing presenters and share ideas with fellow history teachers from across the country. Both include stipends if you are selected to attend. I have attended workshops from both of these organizations in the past and they were outstanding. Please listen to the podcast and then check out the links below to learn more about these opportunities. The deadline for the Gilder Lehrman seminars is February 15, 2010 and the deadline for the NEH workshops is March 2, 2010. I would be interested in hearing about your experiences with either of these workshops if you have attended on in the past. Please leave a comment on this blog post to share with others. Thanks. I was working on a couple of projects tonight while listening to President Obama's speech on the war in Afghanistan. It is clearly a critical moment for the United States in this situation. 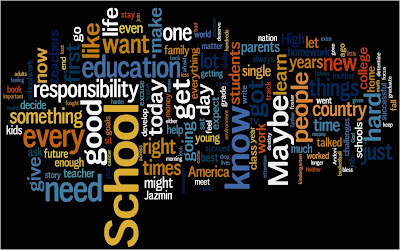 As I thought about the meaning of what the President said tonight, I automatically thought about placing the text of the speech into a Wordle so I could visualize it. 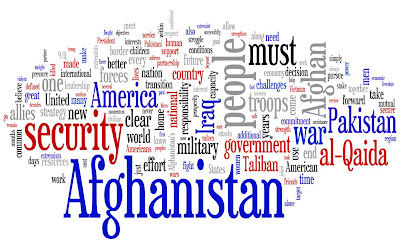 I have included the Wordle from tonight's speech on our role in Afghanistan with this post. I think this is an amazing way to reflect on this speech. Look at some of the most prominent words : "security", "must" and the mentions of "Vietnam" and "Pakistan". There are a ton of ways this could be used in a classroom to start a discussion with students. Incredible. A couple of years ago I would have never used this tool and tonight it was one of my first thoughts as I began to think about the speech. Hello. One of the ways we engage our students in history outside of the classroom is the History Geeks Book Club at South Valley Jr. High School. In this podcast I discuss the History Geeks Book Club - the books we are currently reading, how the book club is created, etc. If you have any suggestions for books that we might consider in the future please leave a comment on this blog. Thanks. Hello. 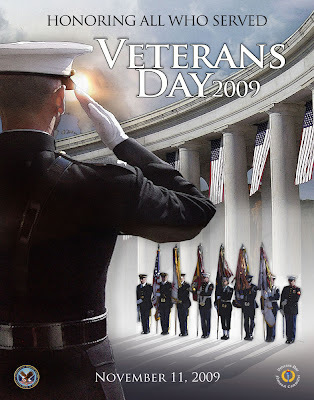 This week we celebrate Veterans Day and I wanted to do something special this year along the lines of the History Channel's "Take A Veteran to School" program. I contacted our local VFW here in Liberty, Missouri and Commander Pate was very helpful in finding me two World War II veterans who would be willing to visit my classroom on Wednesday morning (November 11, 2009) and speak to my 8th grade students about their experiences. Every World War II veteran has an important experience to share and I feel especially honored to have these to veterans coming to my classroom. One fought at Iwo Jima and the second one fought in five campaigns, including the Battle of the Bulge and Normandy. 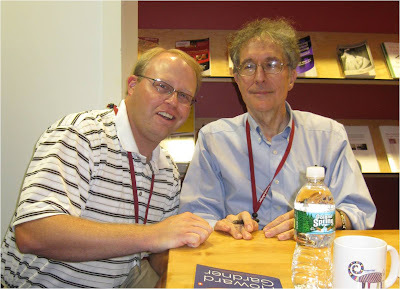 I feel very lucky to have these two gentlemen in my classroom and if possible I want to share the experience. I will attempt to stream the presentation on the Internet live for anyone who cares to join in with us. I can't promise it will go off without a hitch but I'm willing to try and see what happens. I also plan to video tape it and post some of it on YouTube later. If you would like to join us please visit www.livestream.com/speakingofhistory at 9:30 AM central time on Wednesday - November 11, 2009. The presentation should last around 45 minutes. I would also be interested in any questions you and your students might have for these two gentlemen. I will encourage my own students to ask questions but if time allows I would like to include some from others as well. Please leave your questions as a comment to this post prior to our presentation. I'm posting this on Monday evening so it is rather short notice but it would be great to include some other schools. Thanks and please keep your fingers crossed that everything works on Wednesday morning. Hello. 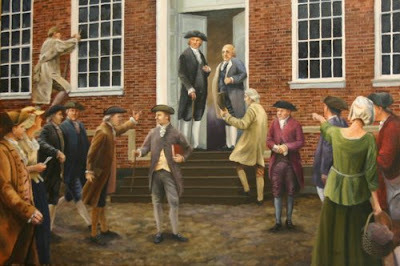 In today's podcast I want to recommend a great resource for your classroom if you teach the American Revolution. David McCullough's 1776 is an amazing book which every history teacher should read but there is another edition which should be in each classroom in America - 1776, The Illustrated Edition. The edition has over 130 beautiful illustrations with an abridged version of the text. Most impressive, though, are the 37 facsimile documents scattered throughout the book in pouches which allow you to take them out and pass them around the classroom. Please listen to the podcast and if you have any ideas on using this resource in your classroom please leave a comment on this blog post. Thanks. Hello. A couple of months ago I was in Boston and while at the Bunker Hill site I heard one of the park rangers describe the use of muskets in the Revolutionary War. I had my Flip camera along so I recorded it and am currently sharing it with my class as we discuss the Revolution. I thought you might also enjoy the description and possibly use it in class as well. Check out this video clip from CNN which discusses the results of a survey given to Oklahoma high school students. The questions are from the citizenship test. The results are surprising and the "expert" interviewed by CNN blames teachers and public education. He states twice that our students are getting "smoked by Iceland and other industrialized countries around the world in test scores". Once again, as is the case in many of these "sound bite" stories, there is no discussion about a solution. Please don't just gripe, offer a solution. The survey was a phone survey that these students were not aware they would be taking. A little different than an actual school situation or taking a citizenship test. Once again education is bashed because it takes makes up a large portion of the budget. I would hope that education makes up a large percentage of any local or state government - don't you? What do you think after watching this clip? Please leave a comment on this blog post. Podcast #200 - Why Do I Podcast? Hello. Today is the 200th episode of Speaking of History! This crazy adventure started on July 7, 2005 as an experiment to see if I could use the hardware and manage the software to post a podcast. It has resulted in over years of reflection, meeting amazing people and learning a ton from my personal learning network. In this episode I look back over the past four years and try to answer the question - Why do I podcast? 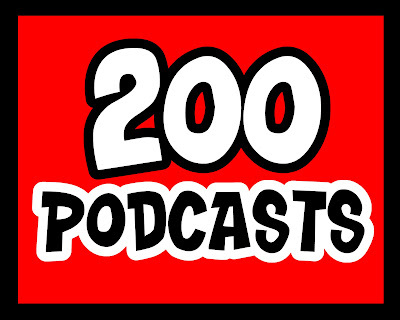 Direct link to Podcast #200 - Why Do I Podcast? I've been having some fun creating Animoto videos since receiving my free educator account last week. I'm inviting my students to join a book club next week in which we'll be reading "Guns for General Washington" by Seymour Reit. I wanted to create some excitement about joining the History Geeks for the book club so I put together this little video. Always remember. The 8th grade American history students in my classroom today were only in kindergarten when this day changed our country forever. It is our duty to remember, we owe them this at the very least. The text for the speech President Obama will deliver to students across America tomorrow was released tonight so I thought I would make a Worlde out of it. (Click to enlarge) What do you think? Hello. 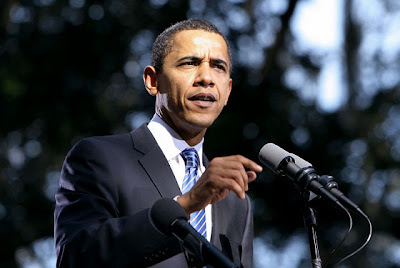 The topic of today's podcast is the upcoming speech President Obama will be making to the students of the United States on September 8th, 2009 (11:00 AM central time) on the Internet and C-Span. This is the first time a sitting President will specifically address students across the United States. The White House released the following information about the topic of the speech : "The president will challenge students to work hard, set educational goals, and take responsibility for their learning." Some have expressed concern over the president speaking directly to students and the amount of influence the speech could have on a group of young people. Some thoughts as I try to wrap my head around the issue (or non-issue). Please leave a comment on this blog post. I'm very interested to see what teachers across the country are thinking about this topic. - Does it surprise anyone else that this is the first time a sitting president has specifically addressed the students of the United States? - At what point does a speech from a president become more "political" than "educational"? - How is this situation different than the inauguration speech that many students watched across the country several months ago? Was that speech considered more "historic" and therefore not as controversial when aired in classrooms across the country? - Is your school planning on showing the speech to all students, none of the students, or based on the decision of each teacher? Hello. We begin our curriculum each year with an awesome topic - the Jamestown settlement. There are a ton of great resources to use when teaching this unit and today in the podcast I discuss six resources which I have found to be very successful in my 8th grade American history classroom. Links below provide more information to each of the resources mentioned in the podcast. I would also enjoy hearing about what resources you use to teach about Jamestown. Please leave a comment on this blog post to share your discovery with everyone. Thanks. Hello. We will be starting our unit on the Constitutional Convention in about two months and for the past two years I've had an idea that I think would work well with my students but I have yet to flesh it out. I would like to match each of my students with a delegate at the convention and then as we study about the issues and debates at the convention they would look at the issue through the eye of "their" delegate. Each student would become personally connected to that delegate during the unit. Today's podcast discusses how this project might look in an 8th grade classroom, what resources could be used to build this activity, and (probably most importantly) does this activity already exist in some format? After you listen to the podcast I'd love to hear what you think. If you any thoughts or suggestions please leave a comment on this blog post. Thanks. PBS is giving away 20 DVD sets of their recent American Experience series "We Shall Remain". Register here for the random drawing. Hurry, you must be registered by September 1, 2009. 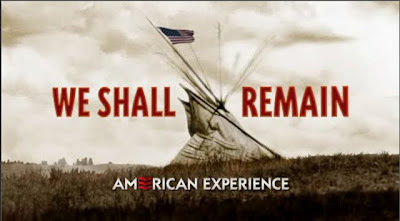 "We Shall Remain" is an award winning documentary series describing the Native American experience in America. I hosted the PBS blog "Media Infusion" in April 2009 and wrote about this series. I highly recommend the series for use in the classroom and hope you register to win one of the DVD sets. Hello. Today I would like to describe an activity that I recently did with my 8th grade American history class and I think is a fun way to start off the school year. 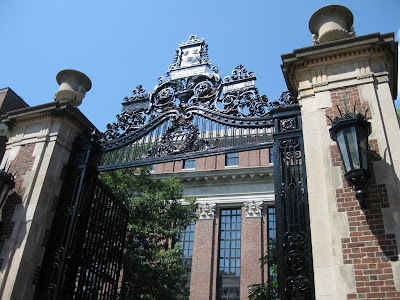 This past summer I attended a session at the Project Zero Classroom workshop at Harvard with Mary McFarland - a former NCSS President. She described some routines to use with students in terms of visual time lines. I really liked the idea and decided it would be a great way introduce the curriculum to my students the first full week of school. The podcast gives an overview of the project and some tips if you would like to replicate this activity in your own classroom. I have also included the PowerPoint presentations (links below) I used to create my visuals for the activity - please use and modify to your needs. If you have any suggestions or ideas about activity please share them by posting a comment to this blog post. Thanks. Hello. Today I did something that I've always wanted to do as an 8th grade teacher who starts off each school year by teaching the American Revolution - walk Boston's historic Freedom Trail. 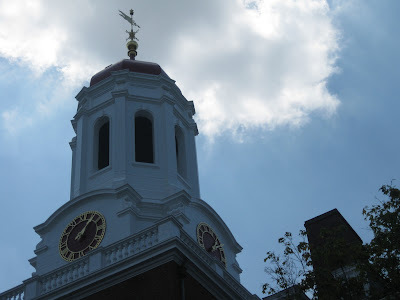 The Freedom Trail is a walking tour in Boston which covers roughly 23 historic locations over the distance of around 3.5 miles. I walked the length of the trail today and then doubled back to walk much of it again. I had a great time, learned a lot, took a ton of pictures and got my exercise by walking about 6 miles - what a day. Instead of doing a site by site review of the trail, (there are plenty of places you can go online to learn about each location, like this one) I decide to offer a few tips and suggestions from my experience today. I have included some pictures with this blog entry but have posted even more pictures as a set on Flickr here. 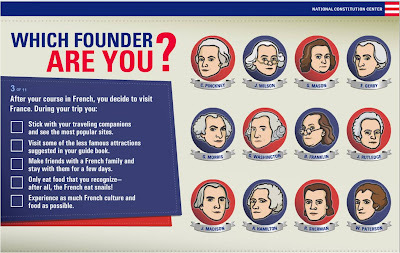 Please feel free to use any of these photos in your class when you teach the Revolutionary War. Also, if you have any tips or suggestions for walking the Freedom Trail please share them here so that everyone can benefit from it. Hello. I'm a native of Nebraska, enjoy baseball and love museums so I was very excited to visit the Nebraska Major League Baseball Museum in St. Paul, Nebraska on a recent family trip. The museum honors all major league players with a tie to Nebraska - born in Nebraska or called Nebraska home with a residence. There are about 160 major league baseball players who have met these requirements - 7 of which are in the Baseball Hall of Fame in Cooperstown, New York. Some of the more famous Nebraskans to play major league baseball include Grover Cleveland Alexander, Richie Ashburn, Bob Gibson and Sam Crawford. The museum is located in St. Paul, Nebraska because it is the proud hometown of Cleveland - the pitcher in 3rd place for wins all time in major league baseball history. Listen to the podcast to learn more about my experience at the Nebraska Baseball Museum and check out the pictures below from my trip. We had a great time and encourage anyone who loves baseball to visit St. Paul for a great experience. If you have visited the museum or would have a remark to share please leave a comment on this blog post. Thanks. 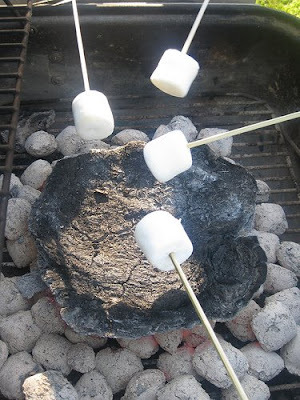 We had an interested comment posted on Podcast #192 - Making Smores Over a Buffalo Chip Campfire from Peter Findler and wanted to share it with everyone. Thanks Peter for the comment and photo! Nice idea, I'm sure you were able to get your student's attention and imagination going with this one! I recently visited a relative living in Armenia. It turns out that a similar practice is used in this part of the world as well (and in other places I'm sure). I ate lunch with a family in a small village north of the capital city, and while I was there I noticed brown blocks lining the wall in the backyard. I asked what they were, and sure enough they were blocks of cow dung, cut and dried for heating the home next winter. The family said that about 3-4 blocks will heat the home for hours, and doesn't smell as bad as one would think. When I heard the podcast for this post I was reminded of this, and thought some might be interested in hearing it. Keep up the good work! Hello. Sometimes you just have to experience something to understand it a little better. 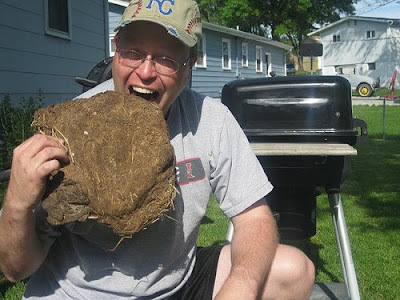 For the past 15 years I have taught about western expansion and the how the pioneers and early settlers on the plains used Bison (Buffalo) chips as fuel in the absence of timber. This year I decided to get my hands on some Bison chips and burn them at a cookout. 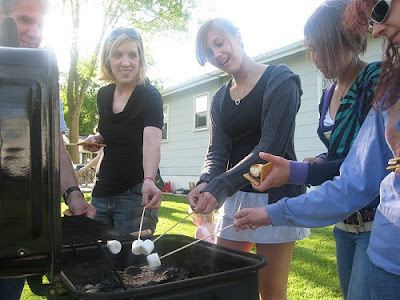 I invited some students, some parents and my principal over for a good ol’ fashioned Bison chip fire where we roasted marshmallows for smores. Listen to the podcast to find out how everything went. You can see more pictures from the Bison chip cookout by checking this Flickr set. 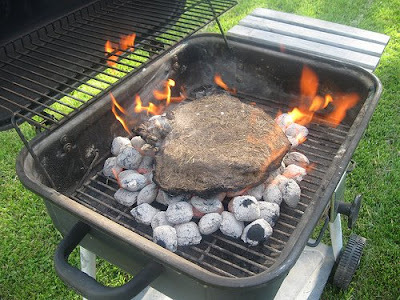 If you have any personal experiences with burning Bison chips, or if you would just like share a general thought about the topic, please leave a comment on this blog post. Thanks. Hello. Some of the listeners of this podcast will be heading to Washington DC at the end of June to attend NECC 2009. I have been fortunate to attend several NECC conferences in recent years but will not be attending - in person – this year. The current financial situation along with a desire to spend some time at home means I’ll be attending this year’s NECC virtually through a collection of podcasts, blog posts and tweets. Please post often if you are attending. I must admit that I’m a little jealous since Washington DC is my favorite city to visit. I’ve been able to visit DC several times in the past couple of years and several listeners have e-mailed me questions about suggestions on what to do, where to stay, etc. 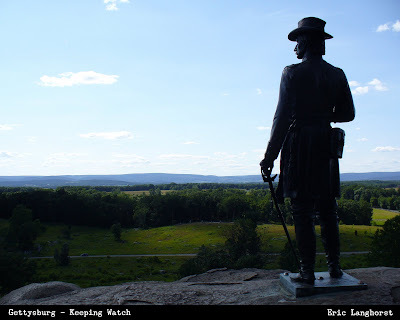 I don’t consider myself an expert on DC in any manner but today’s podcast is a collection of suggestions and tips for visiting Washington DC – either for NECC 2009 or another trip. If you have any suggestions for visiting DC - during NECC 2009 or any other time of year - please leave a comment on this blog for all to see and share. Thanks.